Commercial chain restaurants have led most of us to associate pizza with cheesy cheap cheat meals, that leave us feeling guilty almost immediately after the last bite. Pizza Express is a relatively gourmet chain flooding streets of Hong Kong, but proves that pizza does not have to be a nasty nutrition-less meal. Next time you’re there, try their Lava pizza. Topped with cherry tomatoes, fresh basil leaves and fresh burrata mozzarella cheese, Lava is unlike the typical Margarita, tasting light and refreshing. 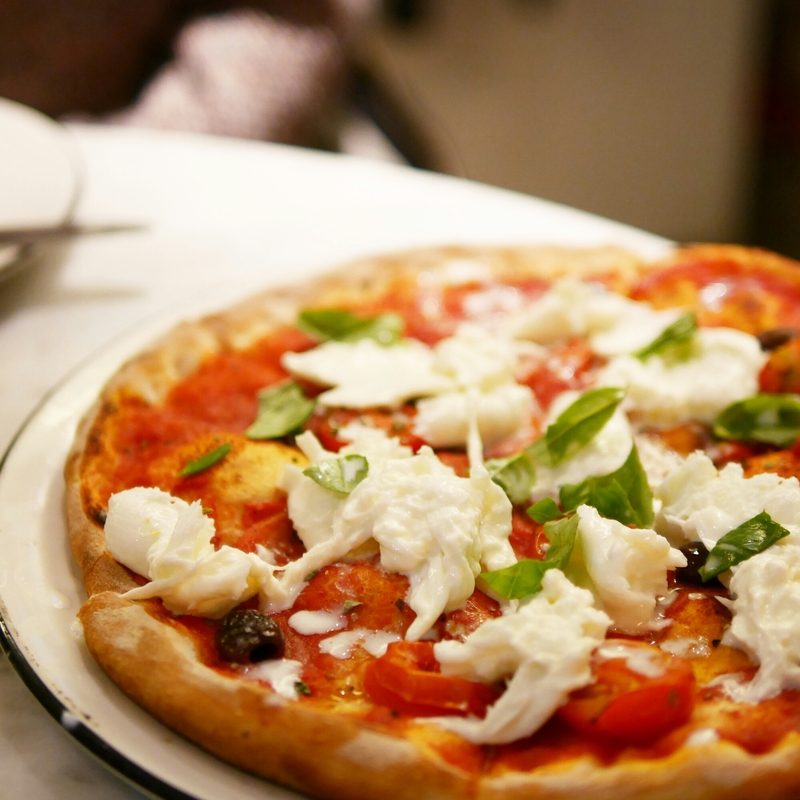 Fresh mozzarella is high in protein and calcium; it also means the pizza is not greasy at all. Pizza express is located on 21 Lyndhurst Terrace, Central, Hong Kong and other locations (see their website for the full list).